Текст трека Eminem feat. 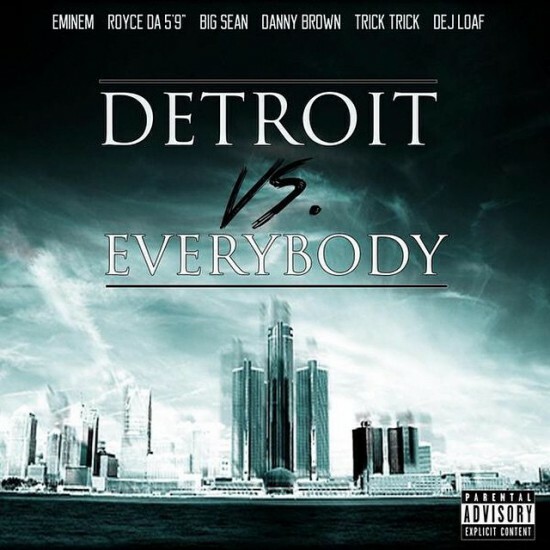 Big Sean, Danny Brown, Dej Loaf, Royce Da 5’9″ & Trick Trick — «Detroit Vs Everybody». Читайте текст трека «Detroit Vs Everybody». (I got a question) Do you wanna ride or die? Did you make arrangements with the gangsters when you came here? What up though, it’s the godfather Trick Trick. You either ridin’ with us or gettin’ rolled on. That means Detroit vs. Everybody! Hey Em let me get that instrumental take it down to the hood, let the little homies get this remix crackin’. Detroit!